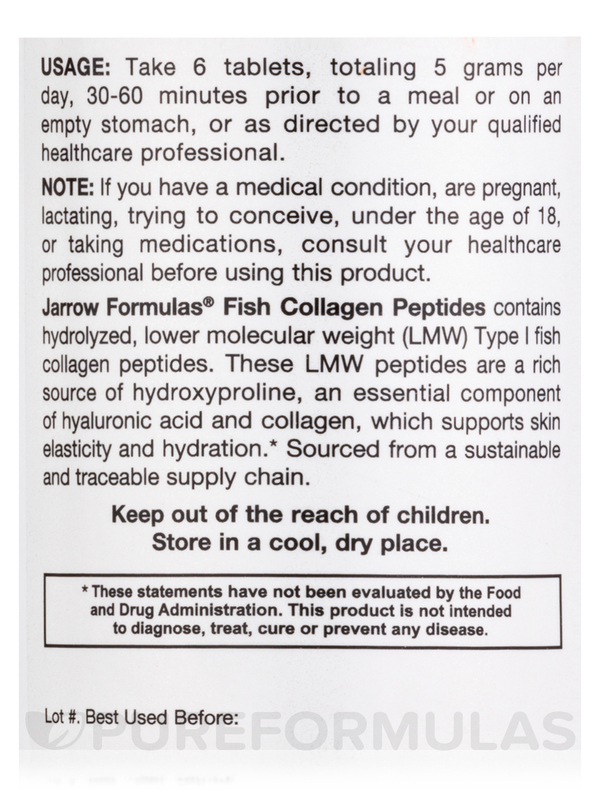 Jarrow Formulas® Fish Collagen Peptides contains hydrolyzed‚ lower molecular weight (LMW) Type I fish collagen peptides. 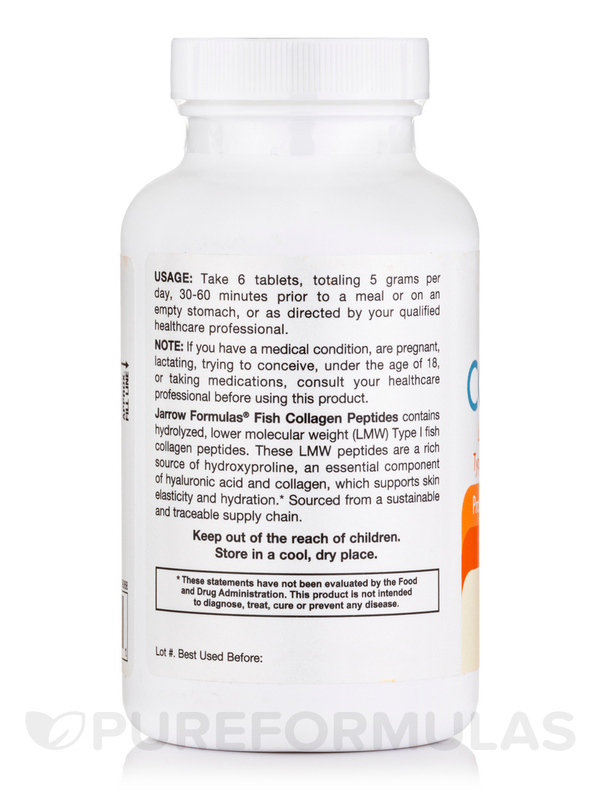 These LMW peptides are a rich source of hydroxyproline‚ an essential component of hyaluronic acid and collagen‚ which supports skin elasticity and hydration. Sourced from a sustainable and traceable supply chain. 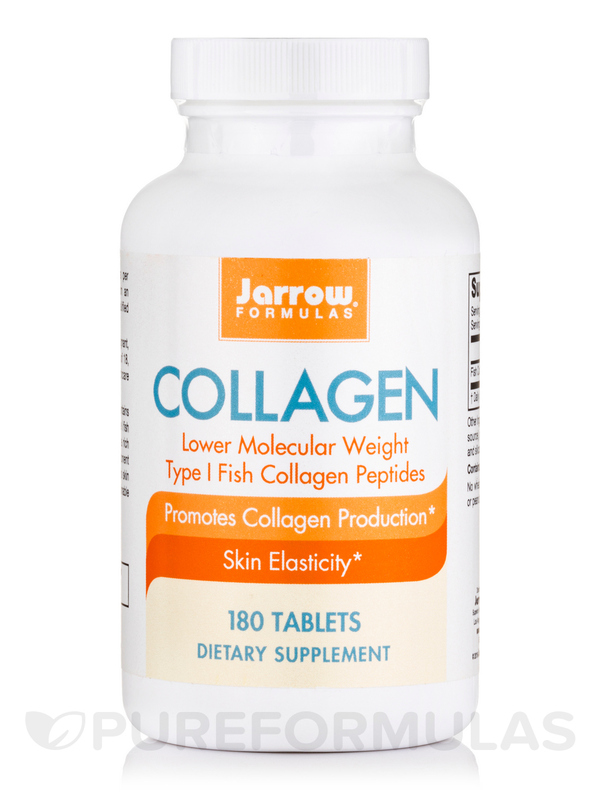 Other Ingredients: Cellulose‚ stearic acid (vegetable source)‚ magnesium stearate (vegetable source) and silicon dioxide. No wheat‚ gluten‚ soybeans‚ dairy‚ egg‚ shellfish‚ peanuts/tree nuts. 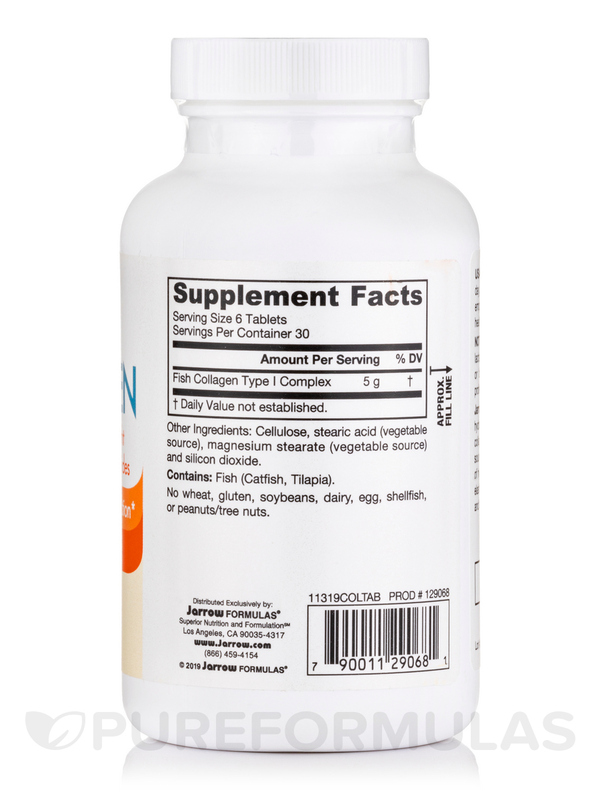 Take 6 tablets‚ totaling 5 grams per day‚ 30-60 minutes prior to a meal or on an empty stomach‚ or as directed by your qualified healthcare professional. 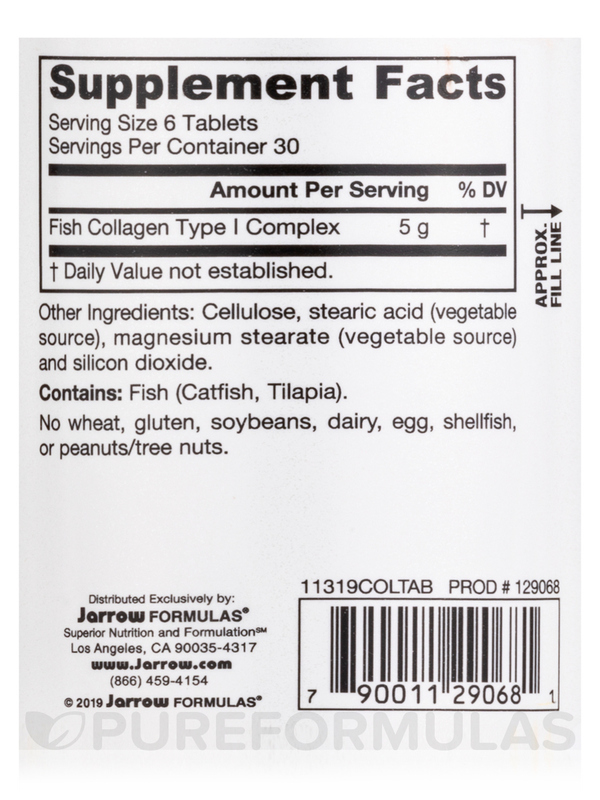 Allergen Caution: Contains Fish (Catfish‚ Tilapia).